Commencing at the northeast corner of the square in naming over our different business men and houses, the first person we come to is that wide awake and energetic business man, John Schuhmacher, in the two story red brick on the corner, dealer in general merchandise. 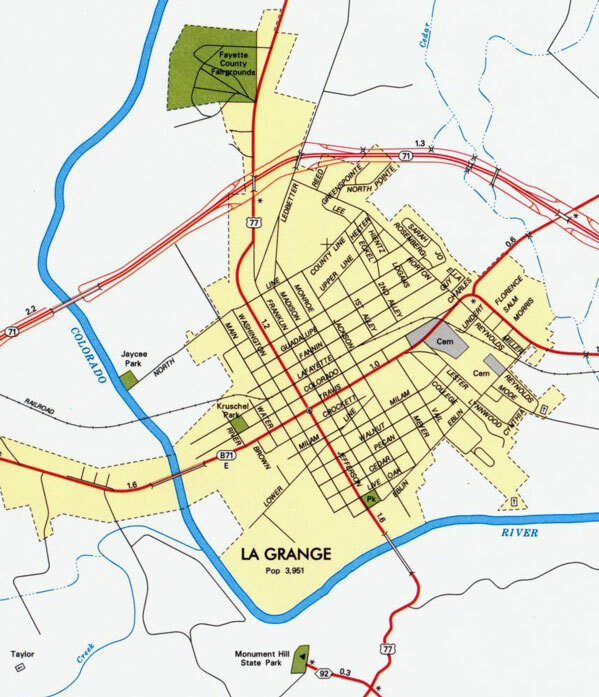 [now location of La Grange State Bank] Mr. S. has just traded his entire stock of dry goods, notions, boots, shoes and clothing for a river farm, and is now absent purchasing an entire new stock, and will continue his business same as before at his old stand. He still has his stock of first class groceries, hardware, crockery, &c. He has also contracted for an ice and beer house which will soon be built. The lumber is now arriving. Also keeps a fine assortment of buggies. Then comes Mr. H.W. Steinle, who has been in business in La Grange for about twelve years, dealer in general merchandise. On account of bad health, Mr. S. is compelled to close out his stock of goods and retire from business. His advertisement in another column will explain itself. [Later, Ben Franklin's]. The next door to Steinle's is Barklay & Bros. firm, composed of R. A. and J. B. Barklay, dealer in general merchandise. Dennis Hans' barber shop comes next. Mr. H. has been shaving the people of La Grange and vicinity for about fifteen years. He has lately opened a larger and more [commodious] shop in which are three chairs. H. A. Brandt, dealer in general merchandise, has been in business in La Grange for twenty-seven years. He started in the saddlery business, at which he worked twenty-five years, but for the last two years has given his exclusive attention to the general merchandise and beer business. [Later, Schulze's Grocery]. Mr. F. C. Streithoff, the well-known saloonist, keeps the "Bank" adjoining Brandt's. [Later Oeltjen's & Schovajsa's Law Firm]. And then comes Mr. T. S. Brown, generally known as Seldon Brown, dealer in general merchandise, is one of our young merchants and carries a good stock of goods. [Later August Streithoff's Tin Shop; now the Fashion Shop]. J.W. Blaize's "Cheap John" establishment is next door to Brown's, deserves the name of "Cheap John" for selling his goods so low for cash. Echol's Boot and Shoe Shop is in the adjoining room to Blaize's. [These two stores later became Lautersteins and then Gindlers Department Stores]. Then comes R. S. Homuth's market, where the best beef and mutton can be had. [Later it became the Owl Confectionary and then the Recreation Center; and then a vacant lot]. Wm. Haase, northwest corner public square, has been doing business in our town for six years. He keeps on hand a stock of groceries, wines, liquors and cigars. [housed White's Auto Store]. M. Weller, the [mattress] maker, is just back of Haase's where mattrasses cotton, wool and shucks are made to order. J.F. Sasin, shoemaker, is in the house next to Ruppersberg. He has lately moved to town. 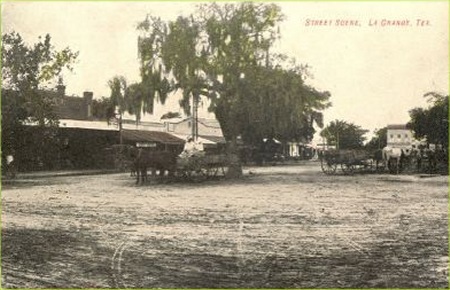 [Mayor's office in the rear; Docekal's Cleaning and Pressing was later at location; now La Grange Chamber of Commerce]. Dr. J. Meyenberg, apothecary, west side public square, has been in LaGrange since the war, keeps pure drugs, and compounds his prescriptions carefully, hence his large business. [later Schroeder's Drug Store]. [Later location of Marburger's Law Office]. Theo F.H. Schmidt, in the two story brick building, southwest corner public square, corner of Main and Travis Streets, deals in all kinds of hardware, tinware, stoves, crockery, lamps and also Moline plows. [Later Dyer's Pharmacy]. Sasin, the tailor, keeps in the frame building across the street from Schmidt's. Next we come to the fashionable retail dry goods establishment of G. Friedberger, where can be found the finest of dress and fancy goods, gentlemen furnishing goods, &c.
In the Farquhar building, we find two of our younger and enterprising merchants, Messrs. John B. Carter and W. C. Hyde, composing the firm of Carter & Hyde, who carry a full stock of dry goods, boots, shoes, hats, clothing and groceries. Mr. Carter was raised in La Grange and was a clerk for his father, Mr. John H. Carter, for many years, and is well and widely known, as "Little John" Carter, a prompt businessman in every respect. Mr. Hyde is an affable and agreeable gentleman, attentive to his business, and who has made many warm friends since he settled among us seven or eight months ago. Thomas C. Gregory's Drug Store comes next. Mr. G. is one of the oldest citizens and businessmen of LaGrange. He has been constantly in the same business, in La Grange, for over thirty years. He has a full stock of drugs, school books, stationery and garden seed can always be found there. Kruschel & Schmidt's "Exchange Saloon" comes next with fine liquors, wines and cigars. O. H. [Moebus] has just opened a grocery store in the next building. Capt. S. Alexander's store follows. Everybody knows the Captain so well that he says there is no use for him to advertise. C. Wink's shop, where guns, pistols and all kinds of machinery are repaired, is next door. Senftenberg Bro. 's & Co. This firm is one which has become well and widely known in Columbus and Colorado County, as a first class dry goods [firm]. They carry a large and well selected stock of dry goods, dress goods, notions, gents furnishing goods; everything bought direct from New York. Latest styles always brought on immediately. The Senftenberg Bros.'s are deservedly known as the "popular merchants" because their polite manners and fine goods have made them so. 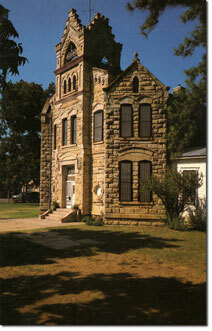 Mr. Adolph Senftenberg will make his home in La Grange. On the same block, and just on the corner of Washington and Travis streets, is the barber shop of our live young colored barber, Isaac Bell, who came from San Antonio last May, bought out old "John the barber," and has continued the business very successfully. He keeps two chairs, attended by attentive workmen. B. Zander, saddler, came to La Grange over twenty years ago. He has built up a fine trade by close attention to business. He keeps saddles, bridles and harness always on hand, in his shop opposite H. Scholtz's & Co.'s. On the same block, and further down on Travis Street, is the first class tailor shop of Wm. Logan, where a full stock of samples can be found at anytime, and a good tailor ready to make a suit of clothes guaranteed to fit. Shop next to Union Church and opposite Masonic Temple. [Later Lauterstein Professional Building]. Charles Lindert's bakery, confectionery and restaurant is adjoining Willenberg's. Here you can get fish and oysters in their season; a good lunch and also fresh home made candy. Aug. Kleinert, general merchandise, is one of the oldest merchants of LaGrange, having been in business here for over twenty-five years. The next firm is that of Messrs. White & Bradshaw, dealers in general merchandise, dry goods, boots, shoes, hats, clothing, staple and fancy groceries, hardware, glassware, crockery, wagons, plows and farming implements of all kinds. Also dealers in exchange. The City Drug Store — Dr. A. L. D. Moore, the enterprising druggist, proprietor, was in La Grange as early as 1844, when he clerked. Has held various offices of trust in our county, and is one of the oldest and most enterprising business men. Keeps a full stock of pure drugs, and also groceries, notions, stationery, garden and field seeds, and druggists' sundries, making a complete assortment of all articles to be found in a first-class drug store. Adjoining the City Drug Store is that of Dr. William Hermes. 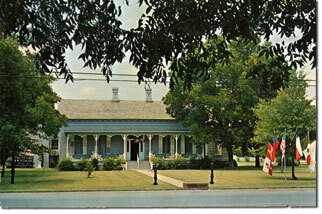 Dr. Hermes has been in business in La Grange for twenty-four years. A full and complete assortment of pure drugs and medicines, stationery, school books, garden seeds and staple groceries always on hand. Also agent for the American book exchange, and for many German newspapers. Mr. C. Peterson's photographic gallery is over Dr. Hermes' drug store. Mr. Peterson [Petersen] understands his business well, and does as good work as can be found outside the large cities. Drs. Tarvin & Killough, dentists, office over Dr. Hermes, are gentle men well worthy the patronage of all persons wishing any dentist work done. We next step into the business house of Charles W. Gregory, who has been in the drug business for twenty-five years. Drugs, books, stationery, garden seeds and groceries of the best quality always to be had from C.W. Gregory. Has charge of the City Library, which is kept in his store. Over C.W. Gregory's is Mrs. S.C. Robertson's millinery establishment. Mrs. Robertson is well and favorably known as a milliner of experience whose good taste insures satisfaction to all who may patronize her. One steam grist mill and plant owned an run by Mr. Hunger, . . . the corporate limits of the town. The Stroud hotel, formerly the A. Korn hotel, Mrs. A. M. Stroud, proprietress. The Muller House, A. Muller, proprietor, corner of Main and LaFayette streets. Mr. Muller was the proprietor of the "Commercial" at Weimar for some time. Neumann's hotel, Fritz [Neumann], proprietor, on . . . street, south of Main street. We have also a cigar factory owned and run by Mr. Aug Haye, which keeps on an average six hands, manufacturing ten different grades of cigars. From 1000 to 1500 cigars are turned out daily. Mr. Haye is now building a good brick building for the purpose of enlarging his factory. Our lawyers number nineteen, not counting our district judge, Hon. L. W. Moore, as follows: Timmons & Brown, Teichmuller, Dunn & Meerscheidt, Phelps & Haidusek, Andrews & Duncan, Lindsay & Shropshire, Robson & Rosenthal, . . . Ledbetter, J. P. Ledbetter and Hill & Bryan. Three physicians, viz: Drs. R. W. Miller, J. W. Smith and R. T. McKinney. Mr. J. A. Jackson is a brick mason and contractor for brick buildings and making brick. Mr. J. A. Campbell and Mr. H. Mebus [Moebus?] are carpenters and contractors, whose skill in their line recommends them to all. There are four blacksmith and two carriage and wagon shops. Mr. Henry Klockmann's blacksmith shop on Travis street, back of Schmidt's store. Mr. W. B. Schmidt's shop on Main street, across the street from Wertz's. Mr. A. Prause, carriage and buggy maker, and also carriage and buggy painter, is on Main street, same side as Wertz. Mr. F. Schukraft's carriage and wagon shop is in the same bulding with Wolz's blacksmith shop. Mr. S. has lately settled in LaGrange, but already has as much as he can do. The reason is he is a live business man. You will see his new ad. in a few days. Davis & Wandel, contractors and builders. Mr. Davis is also an [architect]. Sam Dickens & Son, house and sign painters are first-class workmen and [deserve] the large business they have. Mr. Koper, scenic and sign painter, is a fine artist. Room in Richers' buildling. Churches of LaGrange: The M. E. Church, South, Rev. U. C. Spenser, Pastor, has his own house of worship, and also a parsonage for its Minister. Services and Sunday School every Sunday. The Episcopal Church also has a house of worship. No Pastor. Sunday School and services every Sunday. L. Lindsay, Lay Reader. The Baptist Church hold their services in the Union Church House. Q. T. Simpson is announced to preach 2nd Sabbath in February, next. Rev. B. Hatcher, the former Pastor, has gone to San Marcos. The Catholic Church — Occasionally a Priest calls and holds services. There are also two colored churches, the African M. E. Church. Also, M. E. Church, (colored) Rev. Smith, Pastor. Last year LaGrange shipped over 5000 bales of cotton, and hauled over $800,000 worth of merchandise. With such an array of business men with the capital they . . . to have to back them. can we . . . 16.000 bales of cotton and . . . $1,500,000 worth of merchandise . . . year? We can and we will. 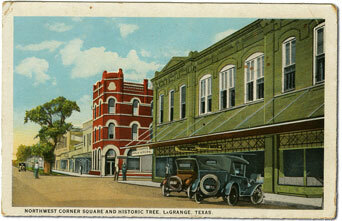 See wonderful old photographs of store fronts and public buildings in downtown La Grange. This historic building survey, which includes histories of the structures, was compiled by the staff of the Fayette Heritage Archives and Museum. Col. John H. Moore and his men assembled under this tree when they went to fight the Indians on head waters of the Colorado, October 24, 1840. War between the Statees: Co. "G" of Green's Brigade assembled under this tree when they went to join the brigade in 1861. War with Spain: Co. "H" 1st Texas Vol. Infantry, assembled under this tree when they entrained to go to Cuba in 1898. Located on South Main Street, one-half block from Courthouse Square, this beautiful, historic structure was built in 1885 amd served as the County Jail for one hundred years. Built in 1845, Owned by members of the N. W. Faison family since 1866. Home, furniture and oil paintings bought and restored by the LaGrange Garden Club in 1961. Awarded Texas State Historical Medallion. Spanish grapevine planted by N. W. Faison still grows adjoining the historical terrace. 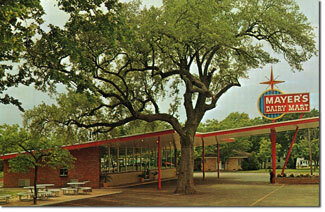 See history of Rosenberg-Todd, Inc.